Please fils out our quick exhibitor form and someone from MACE Media will be in touch with you within the next business day to discuss exhibiting or sponsorship options with you. Packaged choices include Headline, Gold, Silver and Bronze, After Party, Lanyard, Media Wall and Demo Stage packages. All packages include a booth. For those of you who prefer a standalone booth, we can provide you with pricing for a 10’x10′, 20’x10′, 30’x10′ or any other size booth configuration you need. There are many sponsorship opportunities available for exhibitors who want an addi­tional presence or for those who can’t make it to the show but want to have a presence at the any of our CBD Expos. Complete and return this application to reserve your space. Available exhibit space will be assigned on a first-come, first-served basis upon receipt of this document. Additional Marketing Opportunities payments are due in full and are non refundable. Space will not be reserved without payment. 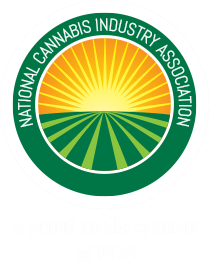 Please Note: Exhibitors will be allowed to sell their non -THC products/services in the exhibit hall at the conference. Please select the events you would like to reserve as well as the sponsorship level. See the website for pricing on each. INSTRUCTIONS: Complete and return this application to reserve your space. Available exhibit space will be assigned on a first-come, first-served basis upon receipt of this document. Additional Marketing Opportunities payments are due in full and are non-refundable. Space will not be reserved without payment. Please Note: Exhibitors will be allowed to showcase, offer samples of, and sell their non-THC products/services in the exhibit hall at Terpenes and Testing World Conference 2019. The organization listed above contracts with the Terpenes and Testing World Conference 2019. 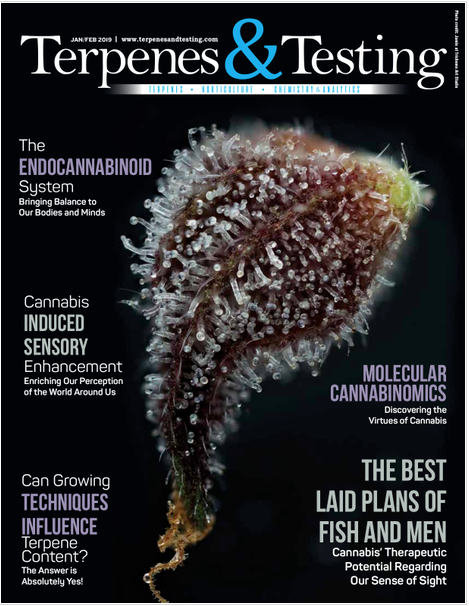 For complete terms and conditions visit terpenesandtesting.com. The full amount of the booth, which is tiered depending on time of purchase, is due and payable at the time of contract signing. The terms and conditions of this Agreement are confidential and cannot be disclosed to any third party without written consent. This Agreement is intended to be fully binding. The use of nails, duct tape or any adhesive, glue, or staples in the Venue's meeting space is not allowed in exposed molding or walls. Damage charges will be assessed by the Venue's Chief Engineer prior to the departure of the production company; therefore, questions regarding whether or not the use of nails or staples is necessary may be directed to the Venue's Engineering Department. All signs and posters must be professionally printed and displayed (flip charts or handwritten signs and posters are unacceptable). Exhibitors are expected to maintain a high level of professionalism while exhibiting at the individual events. This includes, but is not limited to, dressing in appropriate business casual attire, presenting professional exhibitor booths/displays and engaging in respectful communication among fellow exhibitors, delegates and event/venue staff. Inappropriate behavior that may deter from the educational objectives of the event and exhibits will not be tolerated and may cause the Exhibitor not to be invited to future events. By signing this agreement, the Exhibitor acknowledges and agrees to adhere to the Professionalism policy of the event. Upon signing this agreement, your firm is responsible for 100% payment. In the event that the Event Organizer cancels the event due to an act of God, declaration of war, act of foreign enemies, one or more occurrences that could directly or indirectly impair travel, or any other act or event that directly or indirectly causes cancellation of the conference, Terpenes and Testing World Conference 2019 shall have the right to retain 25% of the sponsorship fees to cover pending costs. The remaining fees shall be credited to the sponsorship of one or more future events to be determined at Terpenes and Testing World Conference 2019’s discretion. All Exhibitors and Sponsors must submit high-resolution logos pursuant to the “Graphics Artwork Guidelines” on the Program Guide Specs Sheet. Logos must be submitted no later than 30 days prior to the event. If Exhibitor/Sponsor fails to submit a high-resolution logo, Sponsor/Exhibitor hereby agrees to a charge of $100 for Organizer to create a high-resolution logo that meets the high-resolution specs for print quality, as noted in the Logo Guidelines. As part of the negotiated package, Exhibitor’s will get 2 free passes to the conference. Additional passes will be available at a discounted rate of $99 available to be purchased up to the conference time. Additional passes can be purchased online. Speak to your sales rep for the discount code. In accordance with the following terms, conditions, and regulations governing exhibits of the Terpenes and Testing World Conference 2019 at the Pala Casino Spa Resort, Pala, CA, the undersigned hereby makes application for exhibit space(s) which, when accepted by the Terpenes and Testing Management, becomes a contract. Terms and conditions listed in this Terpenes and Testing Contract and at the: www.terpenesandtesting.com a part of this contract. The undersigned agrees to abide by all rules, requirements, restrictions, and regulations as set forth in this agreement or as may be especially designated by Terpenes and Testing Management, the convention center, the official general services contractor as well as any city, state, and federal regulations. Failure to abide by such rules and regulations will result in the forfeiture of all monies paid to Terpenes and Testing under the terms of this agreement. Exhibitors remain obligated to pay any outstanding balances due to Terpenes and Testing. All payments must be made via credit card.